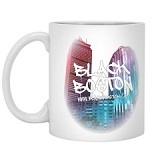 ﻿ Black Boston tours for Logan Airport flyers and anyone with an appeciation for African American culture. Boston is the oldest city in America. Africans established the first Black Boston communities after the arrival in 1638 of a small group of enslaved Africans from Africa, Angola and the West Indies. It is not known how many there were in the group; however, the mark Early Africans left on the city of Boston has become a distinguished part of Boston history. Explore diversity. 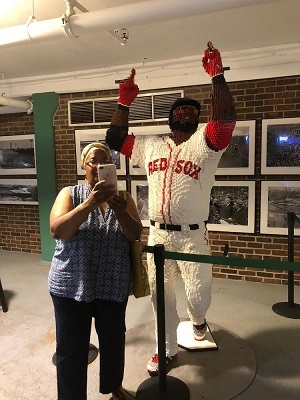 AboutBlackBoston Getaways offers Black Boston tours into the community while showcasing historical sites, black-owned restaurants and attractions. Join our Guest List to receive offers and perks. The driving tour of Black Boston communities show you the highlights. See the area of Boston neighborhood names Roxbury, Dorchester, Jamaica Plain and Mattapan that is considered "Black Boston" because of its predominately Black and Brown population. Boston is a majority-minority city. Six elected City Councilors are Black women or women of color. There are 153,000 African Americans and over 100,000 Blacks from the West Indies, from Africa, from Canada and all over the world. During the mid-20th Century, African Americans came to Boston in droves. In Early Boston times, Blacks lived predominately on Beacon Hill, then later moved out to the rural area now know as Roxbury, upon the arrival of immigrants. At that time, Beacon Hill became uncomfortably overcrowded causing Blacks to move off the hill towards the South End and its connecting communities. One Dorcas de Blackmore, an African woman from Angola, was baptized in the 1640s at the First Church in Dorchester. While serving the Blackmore family, she met an enslaved Black man who lived a distance away. The Early Africans naturally formed romantic relationships with one another despite their status as slaves in the Puritan socient. Over time these voluntary and induced relationships produced children. A self-sustaining African American community was formed. Blacks were living on Beacon Hill, the West End and in the North End. History has it that blacks and "bad" people took resident in these neighborhoods in the 17th century because the property was cheap due to the smell from Charles River nearby. It was the dumping ground for all the City of Boston's waste and refuse. Nevertheless, it was a good community and safe for Black folks. They dug tunnels between the attached houses to escape slavecatchers, who dared traveling into the Hill's back alleys because they were likely to run into Black men ready to fight and protect fleeing slaves. Blacks moved off Beacon Hill when a wave of immigrants, many whom were Jewish, came to live there. A prominent Jewish synagogue building still stands on the Beacon Hill Black Heritage Trail.